Arushi Gupta is a sophomore this year, but she is told she is short enough to be in seventh grade. This will be her second year on staff at The Red Ledger, and she could not be more ecstatic to return to the newsroom, which has become a second home for her. 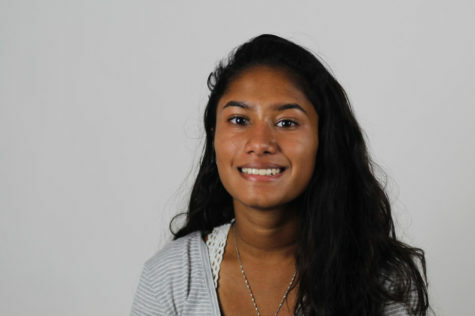 Arushi has had an interest for journalism since joining the middle school’s publication Leopard Life and decided to pursue her interest throughout high school by joining TRL as a freshman.When not in the newsroom, she can be found playing tennis, spending time with her friends, or binge watching a variety of movies and TV shows on Netflix. One of the most important things on Arushi’s bucket list is to travel. Recently she has wanted to go to Greenland, but ever since she was little has dreamed of going to Paris. Arushi plans to fill her sophomore year with an abundant amount of memories and is looking forward to contributing as much as she can to The Red Ledger.